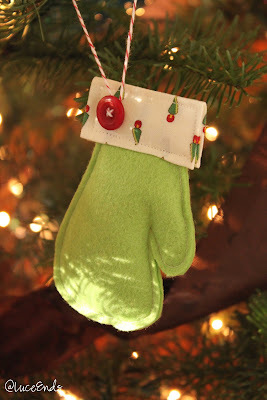 After seeing many cute mitten ornaments, I decided I should just pull my scraps out and see what I could come up with. Well, here it is. These were a quick project. I'm sure you can vary them depending on your resources. Blanket stitching with embroidery thread would be pretty cute if you don't want to use a sewing machine! 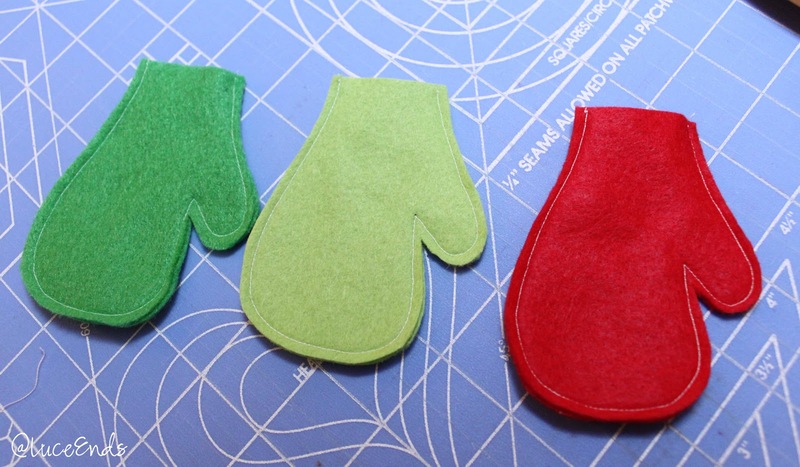 Cut 2 pieces of felt per ornament, using the Magical Mitten Template. 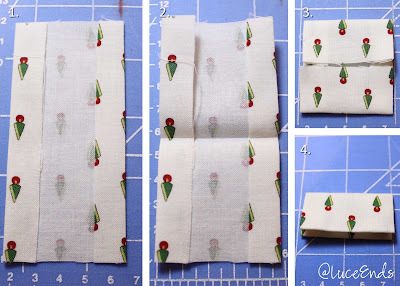 Cut a 4" x 2.5" piece of fabric from your cotton scraps. Work some ironing magic! 1) Iron the long sides down, about 1/2" each side. 2) Iron in half so you have almost a square. Open back up. 3) Iron the last two raw edge sides down to meet the fold you made in the last step. 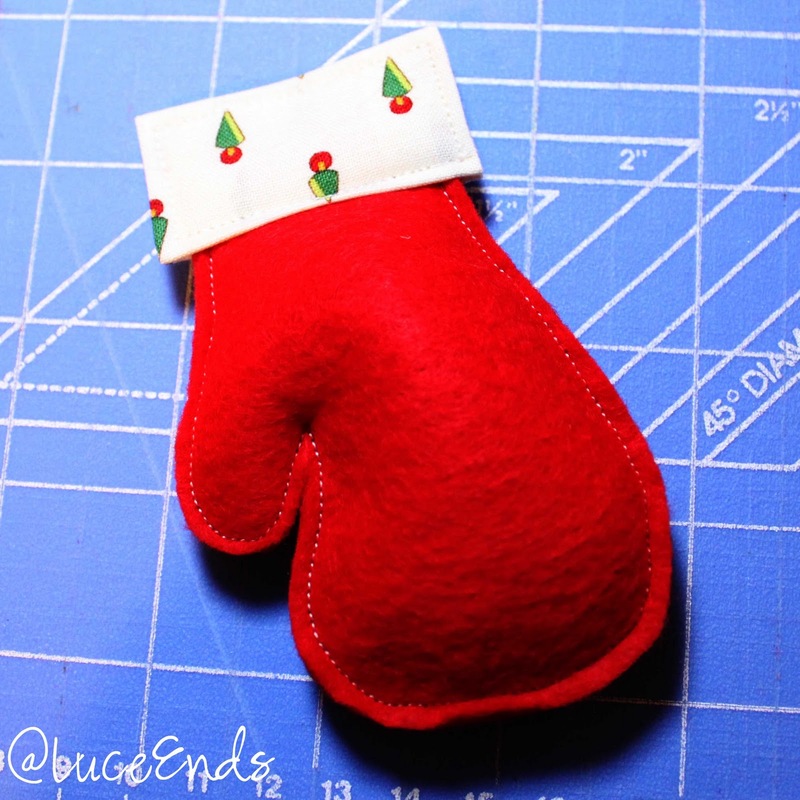 4) Fold in half one more time, iron. Sew the felt mitten pieces together, using about a 1/8" seam. Leave the top side open as if to stuff a little hand in. Trim it up evenly once done; felt tends to stretch even if you use a walking foot. 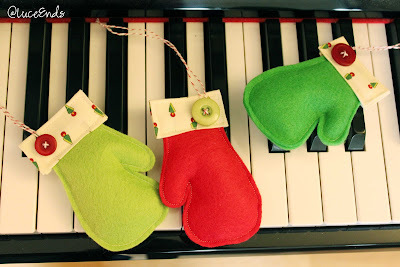 Stuff lightly with fabric scraps or polyfill. Lay the cotton strip over the mitten opening (like a roof), pinning in place. 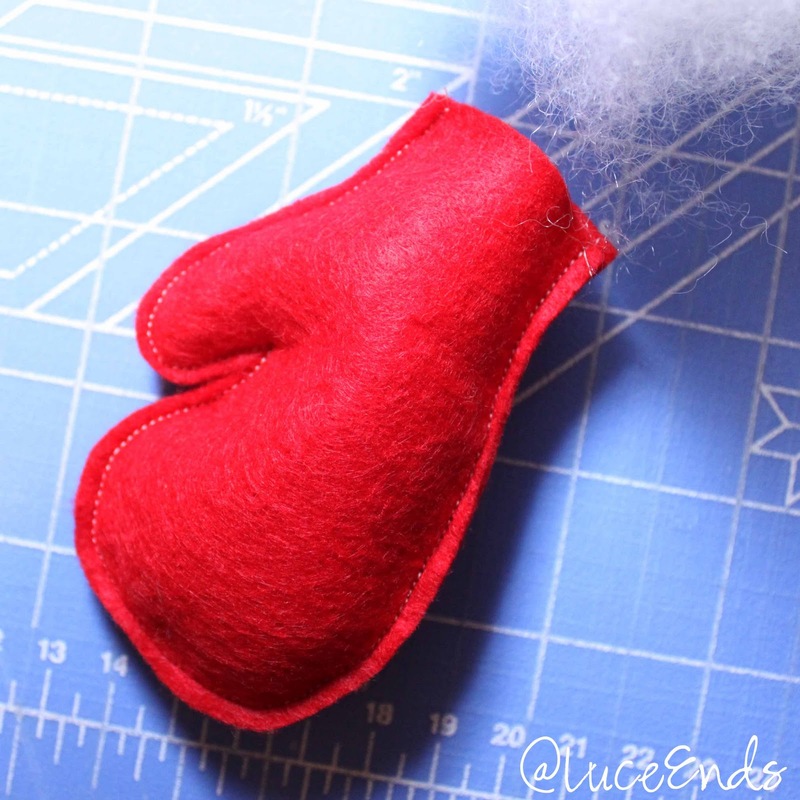 Sew all the way around the cotton strip, making sure to catch the edges of the felt. 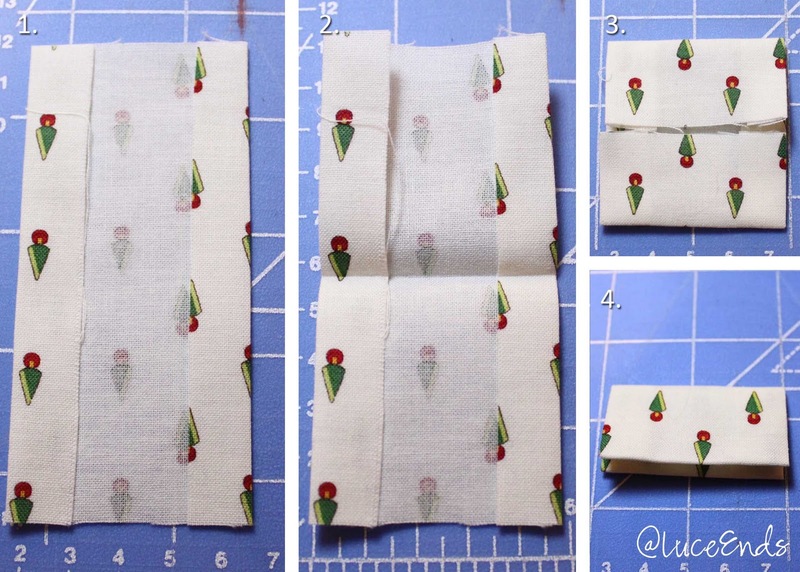 Use a 1/8" seam. Sew or glue the button and twine onto the edge of the "front" side of your ornament.